One aspect of life that many people do not want to accept is aging. No matter how one looks at it or lives, everyone eventually experiences signs of aging. With an onslaught of anti-aging treatments and creams in the stores, people waste money on over-the-counter methods that are ineffective in providing any real change at all. Fortunately, we can help harness a natural growth property in the human body. People may not realize the abilities of the human body. In fact, the human body contains stem cells which can rejuvenate and regrow parts of the body long after the body is past the growth stage. However, people need to understand how the process works and the extent of what the process can accomplish. In order to effectively enhance a patient’s outside appearance, it is important to start the changes from the inside. 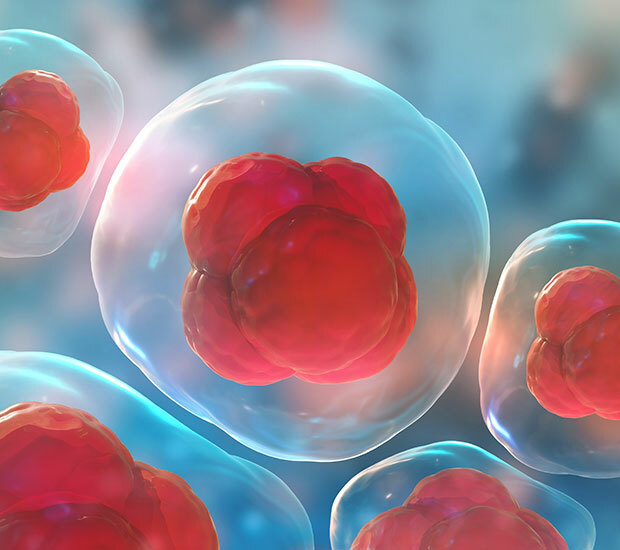 Stem cells are cells that have the ability to help increase the development of other cells of the same type. In other words, we can use stem cells to promote the growth of a certain type of cells in specific areas of the body. Stem cells can act as a form of repair system for damaged areas of the body or can rejuvenate areas that stop growing at a certain point. While stem cells are in the body, they stop activating or benefiting the individual with age. Fortunately, we have the ability to extract some of them, culture (grow) them and then re-insert them into the body through a process known as stem cell harvesting. For instance, we can draw out stem cells from an area of the body where the fat will not be missed such as the sides, hip or buttocks. After removing the fat containing the stem cells with a type of medical syringe, we will place it into a container and ship it to a lab with the company Celltex®. At the lab, professional technicians will isolate the stem cells in the fat and culture them. The technicians will then help the stem cells to multiply and form thousands of cells. Once the patient is ready, we will insert the stem cells back into the specific area. While it is possible to draw stem cells out of other areas, such as blood and bone marrow. In the cases of using stem cells to rejuvenate and heal the skin, the doctor will draw out the blood in a procedure known as platelet-rich plasma. By using a centrifuge, it is possible to separate the red and white blood cells, along with the platelets. Once we have the stem cells and they are ready, we can apply them to areas of the skin with wrinkles or scars. We understand that many people do not enjoy the aging process and the resulting changes to their appearance. Stem cells can help prevent the appearance of aging while also treating scars from wounds. We can help patients improve their body the way they want with the applications of stem cell therapy. With this information, we will customize the procedure to meet the patient’s needs. During this time, we will answer all questions from the patient and address any concerns. With any form of stem cell therapy, the patient needs to understand that the changes may not happen overnight and that the procedure can take some time. With stem cell therapy, you will not need to waste time and money on anti-aging methods in stores or catalogs that hardly make a difference. If you have any questions or think that stem cell therapy is the procedure for you, then give us a call today. We will help you restore or enhance your body the way you want without the need for intensive surgery. Schedule a consultation to begin the path to the “new you” today.